Whether you’re an Australian Open regular or you haven’t been for a few years, you can guarantee that Australian Open 2017 is going to be different. Of course you can expect the same heart-stopping tennis from the world’s top players, but what about when it’s time to kick back and relax? In 2017, Melbourne Park is set to become the hottest dining precinct of the summer – and you’re invited. Feel like something casual? Hit up The Laneway Club, which will emulate Melbourne’s laneway culture with live cooking, DJs and plenty of delicious street food. Overlooking the Grand Slam Oval, you'll find Billie Chu: purveyors of quick and delicious Asian cuisine with cocktails to match. Last year, menu items included old favourites like Hanoi's handmade rice paper rolls and fried chicken wings, plus some more unusual offerings like kimchi pizza or an upside-down samosa burger. Over at Grass and Grain, a team of chefs will be grilling up a storm in a trendy New York steakhouse setting. Speaking of beautiful surrounds, another great option is the light, bright Glasshouse, where you can choose between a communal dining room or a private dining room. You can even take your dessert back with you to Rod Laver Arena, so you can have your cake and watch the match, too! If it’s luxury you’re after, then don’t go past 88 Melbourne or Estelle by Scott Pickett. Here at ESP, the much-loved chef (who was awarded Time Out’s Chef of the Year in 2015) will re-create his dining institution and create a unique degustation menu using seasonal and local produce. Hungry? We thought so. 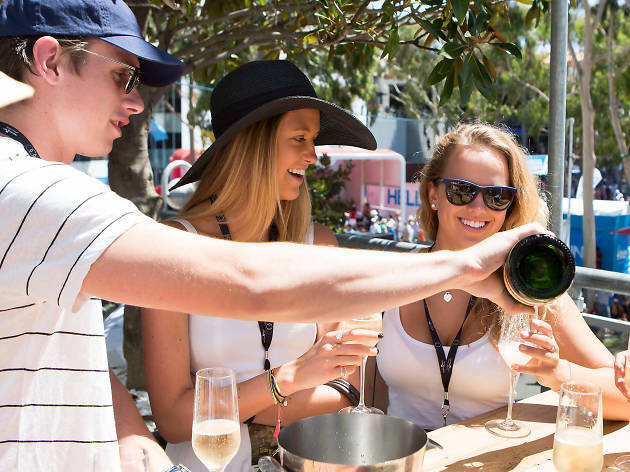 To avoid disappointment, make sure you book your Australian Open experience now. There are plenty of packages to suit all price points and tastes. All these dining options are available from 10am to end of play each night, from Monday January 16-Sunday January 29 2017. 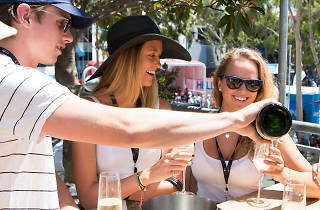 Visit ausopen/hospitality for details.